According to HubSpot's State of Inbound Marketing report, 3 out of 4 marketers prioritise inbound marketing above other marketing approaches. However, inbound marketing requires a diverse skillset and time - both of which can make it a tricky job to get right. 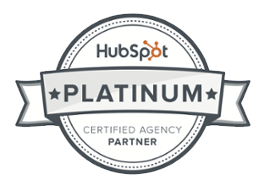 If you suspect you could get better at inbound marketing, we've got the perfect tool for you. Brand chemistry has created a short questionnaire that will help you recognise how strong you are in your inbound marketing approach. Simply answer a few questions below and get your personalised results and recommendations delivered straight to your inbox. Does your website traffic increase month on month? Yes, steady growth, reaching our goal amount. Some months spike, other months stay around the same. No, it is static or decreasing. Does your company use social media for awareness, engagement and traffic? Yes, we have a good presence and engagement on social media. I can’t see how it contributes to lead generation though. Yes, we have chosen the social media channels that are a good fit for our market We can also measure awareness, engagement and traffic. Well, we have a presence on some channels, but no specific strategy or goals around how we should be using it. How strategic is your SEO approach? We try to make sure our blog posts and other web-pages have keywords in them.We make sure our services page titles are broken down by service offering as well. SEO is a dark art and we just don’t trust it.We prefer to use PPC because we can see exactly what’s working. We do a mix of things: keyword research and on-page optimisation. We make sure the site structure makes sense and also work on our inbound links and anchor text. How are you using blogging for your business? We design our editorial calendar based on persona pain-points and search phrases.We also have well-designed CTAs on very blog so they help us build our database and see what’s resonating. We’re not blogging as regularly as we should. When someone thinks of a good post and has some time, we pull it together and post it on the site. We are doing well at blogging regularly and our posts are really resonating with our audience. But we don’t collect customer details from it, so it is just for thought leadership at this stage. How do you measure the impact of your inbound marketing efforts? We analyse a few things: for example,website traffic source for visitors, leads and customers. We are working out our cost-per-customer at the moment.We also track our social media follower counts and engagement metrics. We spend very little time analysing,because our team is small and we spend a lot of time just getting the work done. We analyse our reach and engagement via social. We also measure which blog posts get the most clicks/opens. How many content offers (e.g. ebooks, white papers, webinars) do you have available on your website? We have between 1 and 5 content offers on our website. We have more than 15 content offers on the site and we add about one per month. We have no content offers on the site as yet. How do you nurture leads through the buying process? We let sales do the heavy-lifting, as soon as we have lead contact details. We don’t really do any nurturing, we wait for sales-ready inbound enquiries, then pass them over to sales. We use content offers, workflows and lead scoring to help us nurture our prospects and help sales to prioritise leads. How closely aligned is sales and marketing on what constitutes a qualified lead? We naturally understand the characteristics of a qualified lead, but we don’t have anything on paper. Actually I don’t think we are very aligned. Sales often complains that their leads are not good enough. 100%. We have shared goals and a written document that outlines what an MQL is. We tweak this monthly in our strategy meetings.